Inadequate audit mechanisms may result in undetected misuse of data in software-intensive systems. In the healthcare domain, electronic health record (EHR) systems should log the creating, reading, updating, or deleting of privacy-critical protected health information. The objective of this paper is to assess electronic health record audit mechanisms to determine the current degree of auditing for non-repudiation and to assess whether general audit guidelines adequately address non-repudiation. 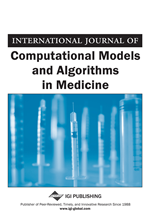 The authors analyzed the audit mechanisms of two open source EHR systems, OpenEMR and Tolven eCHR, and one proprietary EHR system. The authors base the qualitative assessment on a set of 16 general auditable events and 58 black-box test cases for specific auditable events. The authors find that OpenEMR satisfies 62.5% of the general criteria and passes 63.8% of the black-box test cases. Tolven eCHR and the proprietary EHR system each satisfy less than 19% of the general criteria and pass less than 11% of the black-box test cases. Without adequate audit systems to ensure accountability, users of electronic health record (EHR) systems could create, read, modify, or delete protected health information (PHI) without these actions being traceable. To this end, the United States Health Insurance Portability and Accountability Act of 1996 (HIPAA) Security Rule states that one must implement, “mechanisms that record and examine activity in information systems that contain or use electronic protected health information” (Health Insurance Portability and Accountability Act, 2007). Additionally, Meaningful Use Stage 2 objectives from the United States Department of Health and Human Services (EHR Incentives & Certifications, 2011) include criteria for providing patient accessible logs of protected health information (PHI) disclosure. Patients need to trust the privacy practices and accountability of healthcare organizations. Administering software audit mechanisms forms a basis for privacy-driven and accountability-driven policy and regulations, including government regulations (Kent & Souppaya, 2006). Audit mechanisms should help ensure privacy of PHI by focusing on recording and detecting inappropriate accesses to PHI to promote non-repudiation. The healthcare field needs specific standards that address the implementation of software audit mechanisms to monitor access and information disclosure, including details of what should be logged, how it should be logged, and how logged information should be monitored. In a previous study, we assessed the audit mechanisms of OpenEMR, OpenMRS, and Tolven eCHR to determine how well the three EHR audit mechanisms address non-repudiation (King, Smith, & Williams, 2012). We based our qualitative assessment on both (1) a set of 16 general auditable events derived from four professional sources of audit guidelines, and (2) set of 58 black-box test cases for specific auditable events derived from the Certification Commission for Health Information Technology (CCHIT) criteria (CCHIT Certified, 2011). We found a noteworthy lack of easily accessible and readable auditing for non-repudiation in each of the three EHR systems. Since our initial assessment, newer versions of OpenEMR and Tolven eCHR were released. We also obtained access to a proprietary EHR system for evaluation. With new versions of two open-source EHR systems and a proprietary EHR system now available, we revisit and expand our previous audit mechanisms assessment. Q1: What events should be included in an EHR log file for non-repudiation? Q2: How well do EHR systems perform in logging and auditing for non-repudiation?